The bar-line chart below shows the numbers of goals scored in World Cup matches by the top 22 players. The bar indicates the number of goals and line shows the number of goals per game. In addition, we use data rows to list the number of games each athlete played in. Miroslav Klose has scored the most the goals with 16 across 24 games. France’s Just Fontaine and Hungary’s Sándor Kocsis took only 6 and 5 games, respectively, to score 13 and 11 goals, having highest goals/game average and more than double the next highest. This entry was posted in Bar-line chart and tagged Global, Sports by Aploris. The scatter chart below shows the change in male and female tobacco smoking rates in different countries between 2000 and 2015. In addition, countries are color-coded by their income levels. Almost all countries have seen female smoking rates drop – the Russian Federation and the Czech Republic are the two exceptions. Male smoking rates have also dropped in most countries. However, several African and Middle Eastern countries saw a rise. The shaded green area indicates the part of the chart where both female and male smoking rates dropped. This entry was posted in Scatter chart and tagged Food, Global, Healthcare by Aploris. 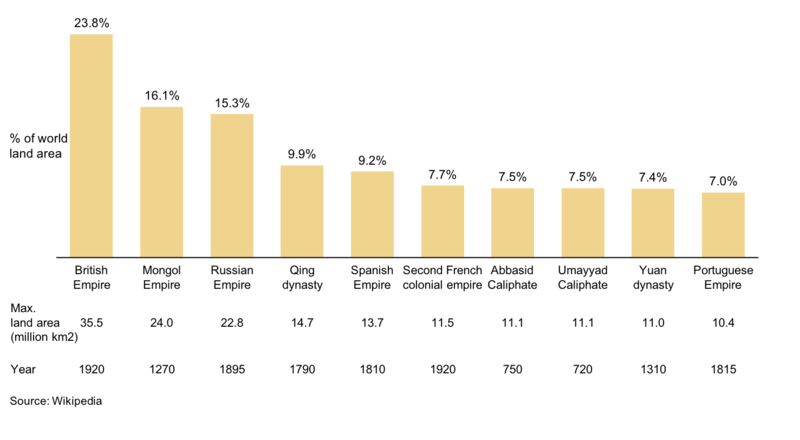 The bar chart below shows the largest empires by percentage of world land area at their peak. In addition, data rows are used to provide the absolute area and the year achieved. This entry was posted in Bar chart and tagged Global by Aploris. The bar-mekko chart below shows the number of Olympic medals won normalized by the team size. The width of each column represents the size of the team representing the country and height represents the medals they won per team member. As such, the area of the represents the number of medals won. 3 segments are used to separate out gold, silver, and bronze medals. Visualizations of Olympic results typically show the total number of medals won by each country. However, each country sends different number of athletes based on a number of factors including qualifications. Showing the number of medals won normalized to team size would highlight the strengths of different teams. The Netherlands won a shocking 0.61 medals per athlete they sent. Almost twice as much as the next closest country, Norway, which one the most medals. The Netherlands dominates speed skating which represents all the medals they won. This chart was built with PowerPoint 2016 for Mac and the Aploris add-in. This entry was posted in Bar-mekko and tagged Global, Sports by Aploris. 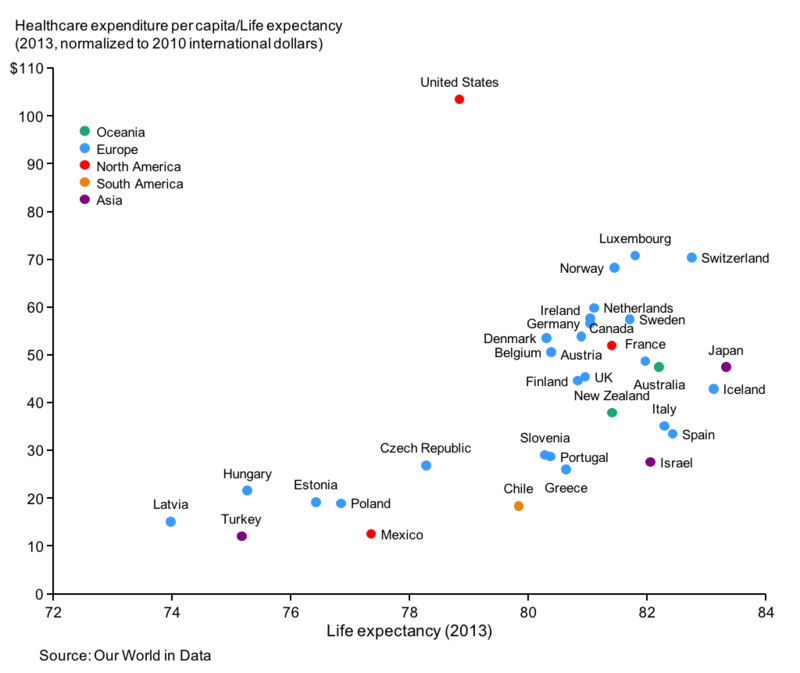 The scatter chart below shows the relationship between life expectancy and health expenditure for a variety of countries. The x-axis shows life expectancy at birth and the y-axis shows healthcare spend per capita for each year of life expectancy (in 2010 international dollars). Countries are color coded based on their region. In general, the more countries spend on healthcare the longer their citizens live. 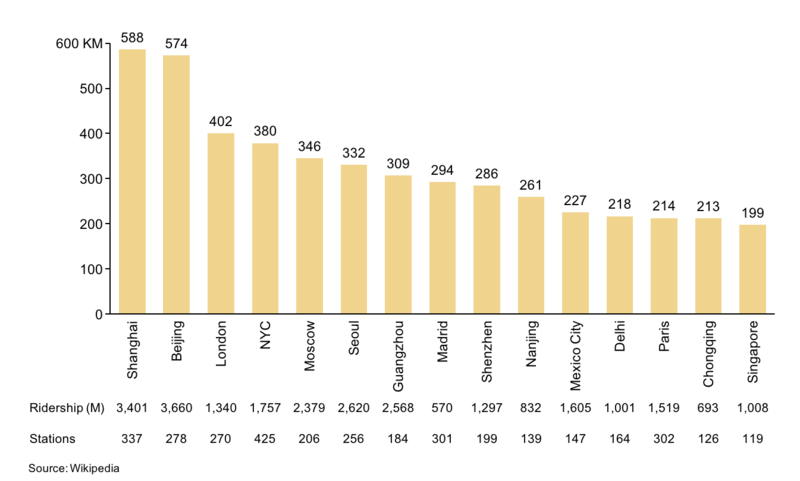 However, the US is a significant outlier. The US spends much more than any other country but its life expectancy is below many. The source article (https://ourworldindata.org/the-link-between-life-expectancy-and-health-spending-us-focus) plots health expenditure per capita on the y-axis (instead of healthcare spend per capita for each year of life expectancy). 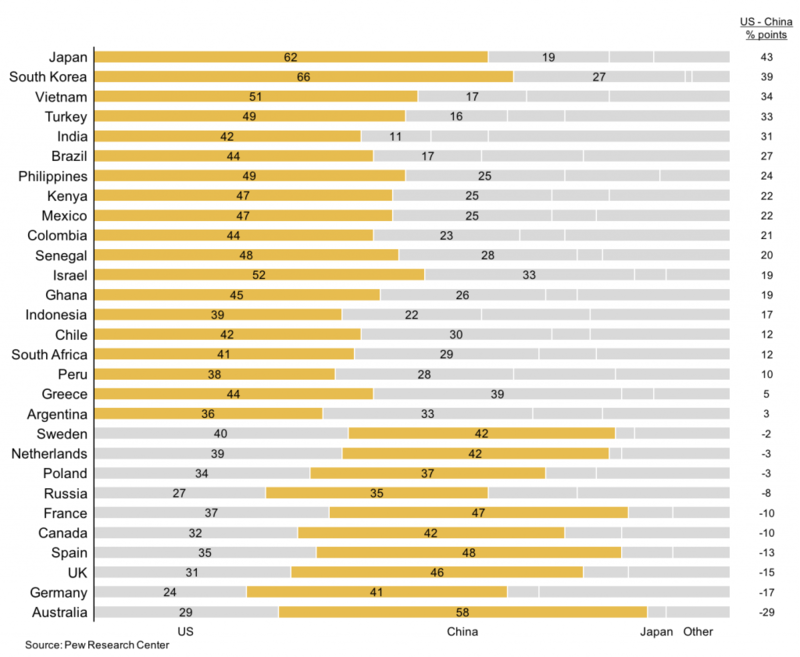 However, we find that their visualization is not as effective in calling out the US as an outlier. This chart was built with the Aploris PowerPoint add-in. This entry was posted in Scatter chart and tagged Global, Healthcare, Life by Aploris.